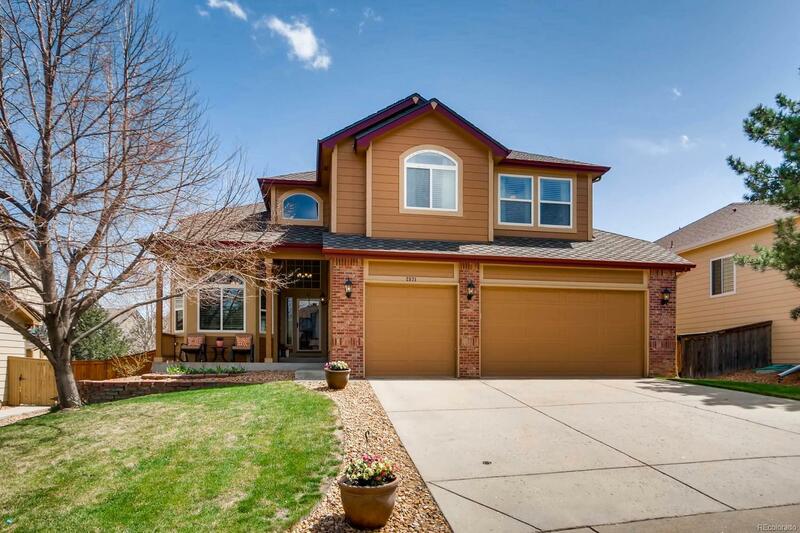 "Welcome Home" to this beautifully updated executive style home in sought after Highlands Ranch. Everything has been taken care of for you so you can just move in, unpack & start entertaining. The current homeowner updated the entire home. New kitchen stainless steel appliances, cabinets with crown moulding and soft close drawers, gorgeous granite counter tops and tasteful backsplash and tile floors. All easy care wood floors on the rest of the main level. AN AMAZING custom built 2 story fireplace, iron & wood handrail, high end carpet & all new lighting fixtures throughout. All 4 bathrooms have been updated and have granite counter tops. A formal living room, dining room and spacious front office & laundry/mud room all on the main level. Four bedrooms upstairs and one in the basement offer room for everyone in the family. Conveniently located near shopping & C470. Great HR community with indoor and outdoor pools, trails, tennis courts and gym facilities. Better hurry before it's GONE!